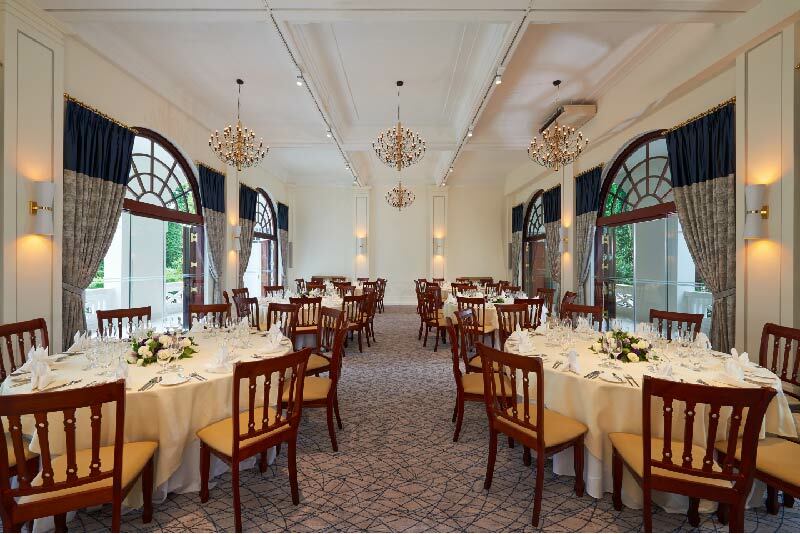 Tucked away in a little corner of Eastern Singapore lies Changi Cove, a destination and venue ideal for weddings with a whimsical charm and elegance. If you are a bride-to-be, looking for an intimate and cosy space with a rustic and quaint twist, we are right for you! Covered in natural earthy tones and accompanied by a full length two-storey glass window facing Changi Coves’ scenic foliage, makes a perfect spot for couples looking for something out-of-the-ordinary and in touch with nature.ed by our in-house chefs. Here at Changi Cove, we have 4 distinctively designed and affordable wedding venues specially catered to different requirements and capacity. The Auditorium is a 4,000 sq ft pillarless woody & whimsical themed space with a 2-storey high ceiling looking out to a lush green slope. 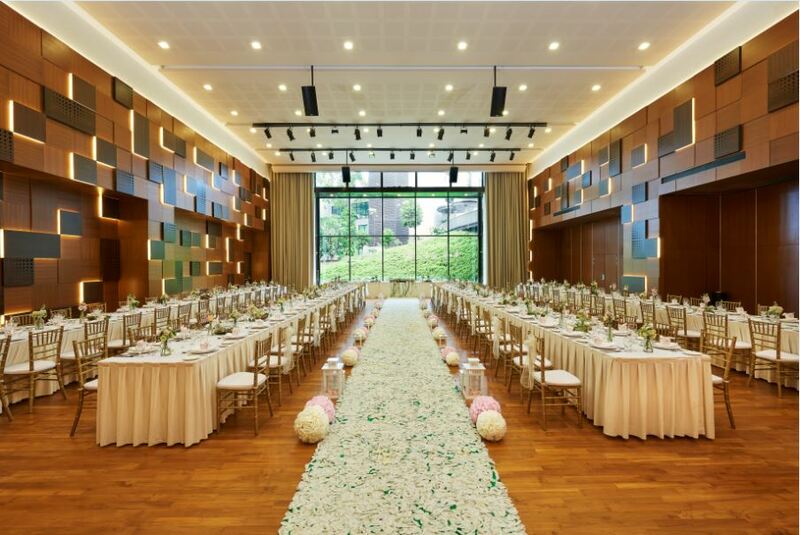 Known for its elegant long table setting, which accommodates up to 180 guests, The Auditorium is ideal for couples looking for a warm and stylish setting . It is also suitable for solemnisation. 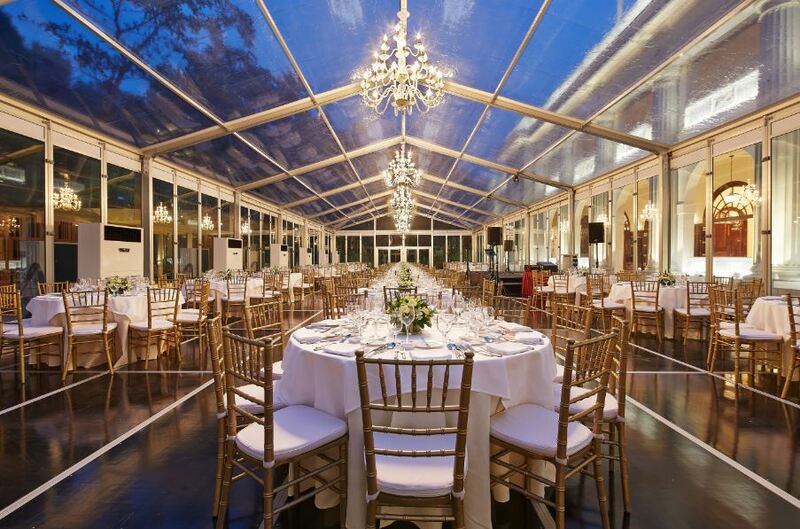 Completed only in June 2016, The Conservatory is a newly refurbished space with glass windows all around. It looks out to the lush crowns of heritage trees of Changi. Custom-made furnishings fill the space with an unassuming gentle elegance. 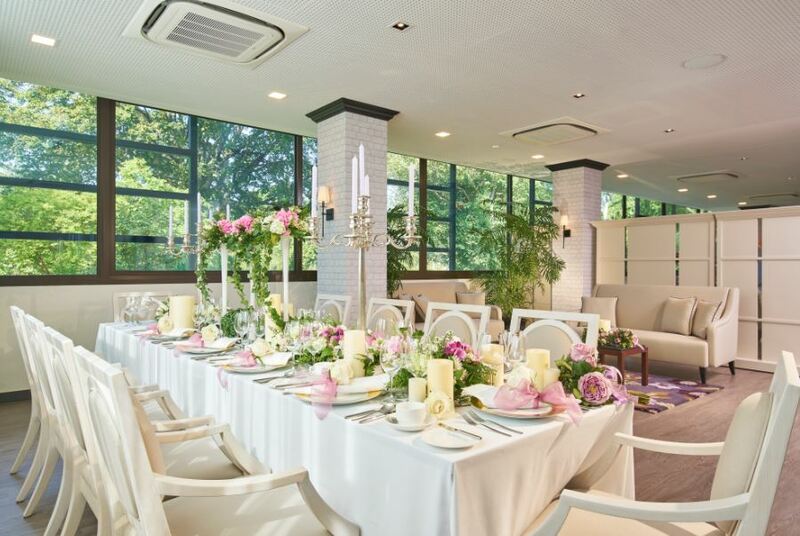 With a capacity of up to 70 pax, this venue is ideal for solemnisation and for couples looking to host close family and friends in a refreshing and intimate setting.